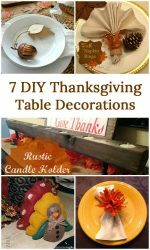 Now that Halloween is over, it’s time to start thinking about Thanksgiving! Thanksgiving is one of my favorite holidays because the entire point is to hang out with family and friends, eat good food, enjoy each other’s company, and reflect on the things you’re thankful for; it’s wonderful! 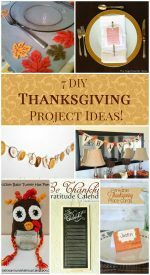 If you’re looking for some great ideas for Thanksgiving this year, I’ve teamed up with some awesome bloggers to bring you 12 Thanksgiving crafts and recipes! 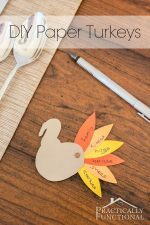 A few years ago I made these super simple DIY Thanksgiving place cards with my Silhouette. They turned out so cute, and they were so easy to make I think I’ll probably make them again this year! 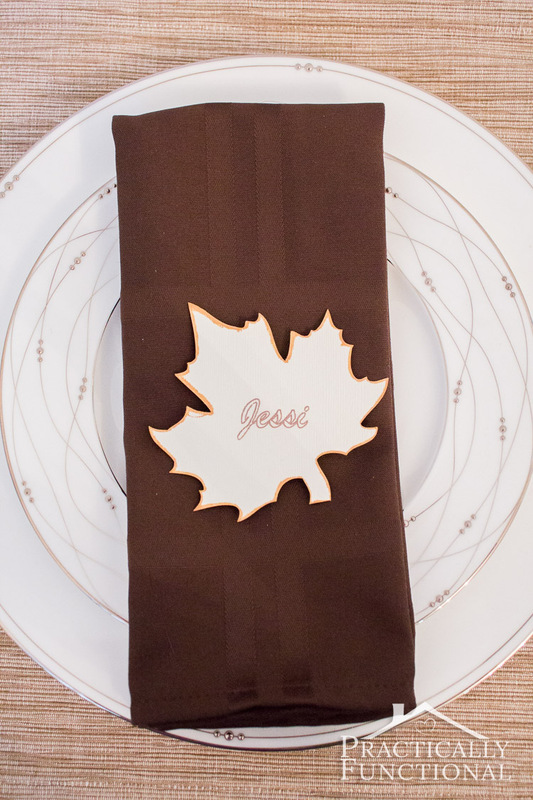 All you need to do is cut out the leaf shape, write a name on it (I did both of those with my cutting machine, but you can do it by hand if you prefer! ), then use a marker to color the edges of the leaf. 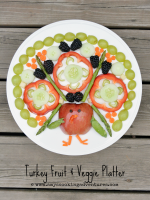 It’s so simple, but looks so elegant for your Thanksgiving table! 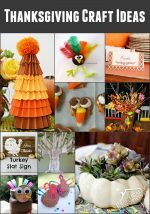 If you want some other great Thanksgiving crafts and recipes, check out these ideas from the DIY Housewives! « How Do You Keep Your Home Clean? 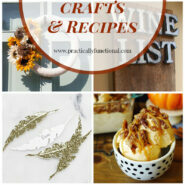 I love your leaf placecard – so cute!! 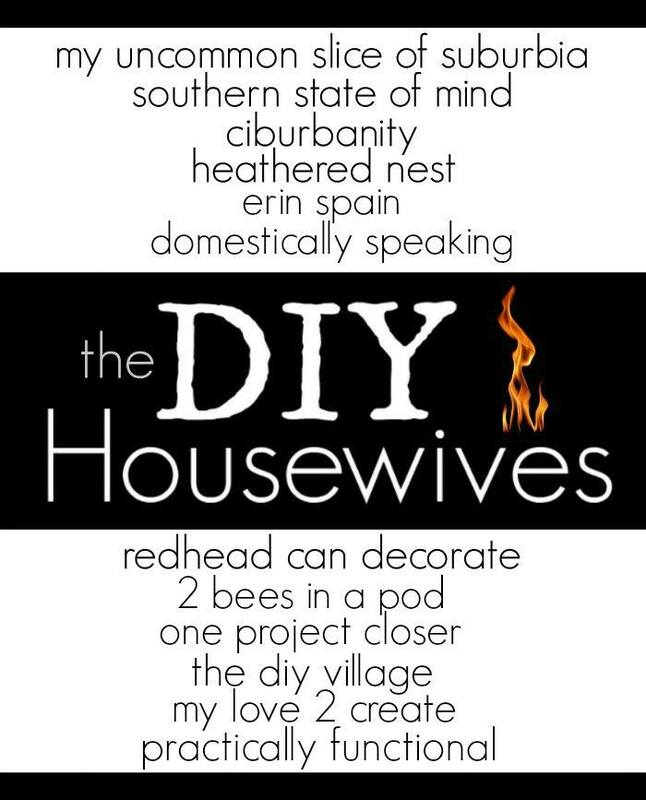 This is adorable, great idea! 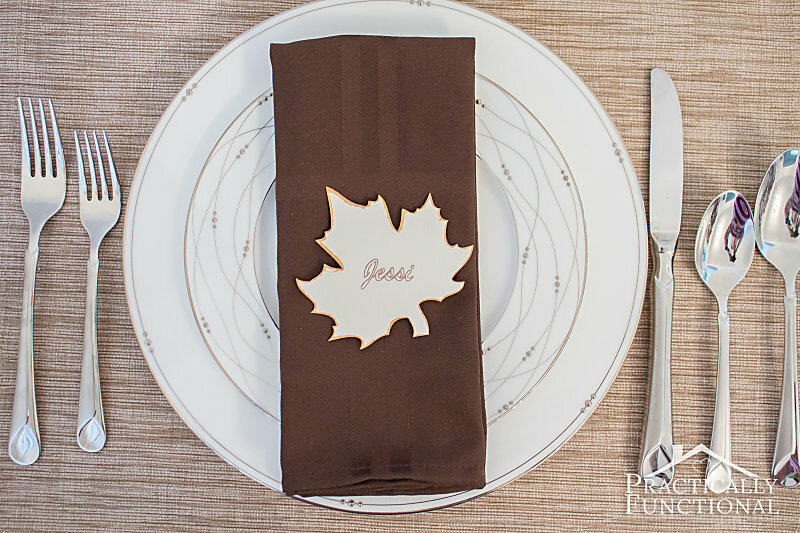 Really like those Thanksgiving place cards. Thanks for hosting! 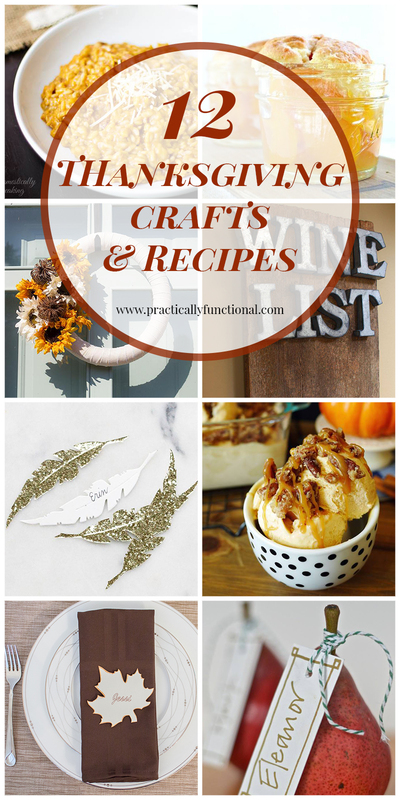 I can’t get over all the wonderful ideas this week. Thanks for hosting!